It took around 4 days to arrive from my dispatch note that was sent on the 18th Nov 2013, and i was lead to believe from the website that Royal mail 2nd class would be delivering it but i woke up today with a knock at my door and it was the and only nightmare of a delivery company Yodel. Funny that?! so that was really strange, But its here now and im so sooo excited to share with you. This is a one off box and its not a subscription. 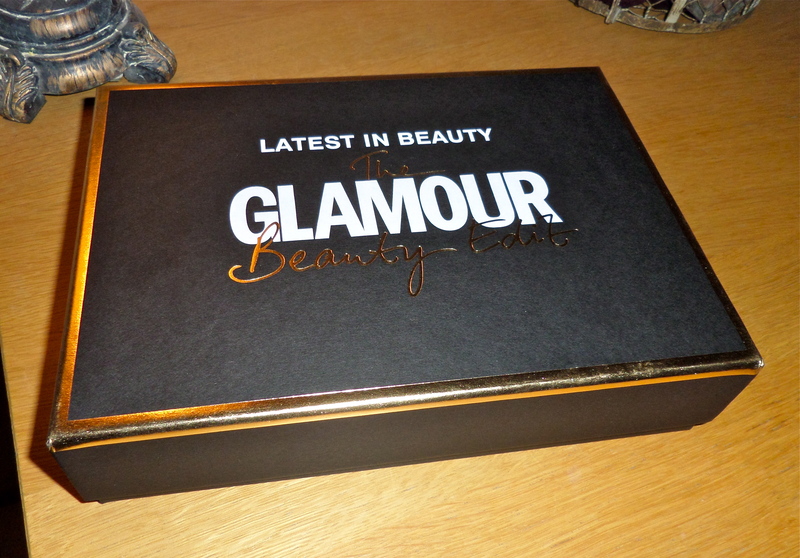 It comes in a beautiful Black and Gold Rim Box, and the layout inside is just like ”Glossybox” which is Beauty monthly Subscription Box. 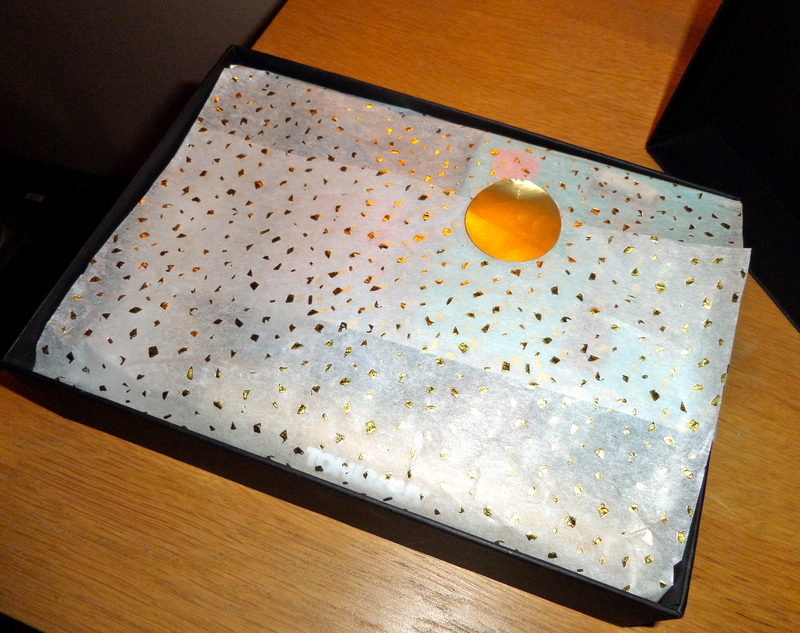 The box is very well presented, with white Tissue paper which has Gold Flakes and a lovely Gold Sticker to keep it all in place. Theres no Magazine inside but a laminated piece of card with the details of the products in the box, the only thing missing is the prices of each item. You get 7 items in Total. * TONI & GUY GLAMOUR FIRM HOLD HAIR SPRAY 75ml SAMPLE SIZE. This box is so worth the money, i was only looking to buy the HD BROWS Palette but when im stumbled across this i just knew i had to buy it, With only paying £14.95 thats less than what the HD BROWS was worth so this is such a fantastic Box and i defiantly recommend it. Its been forever since our last Box , just over 2 months ago. 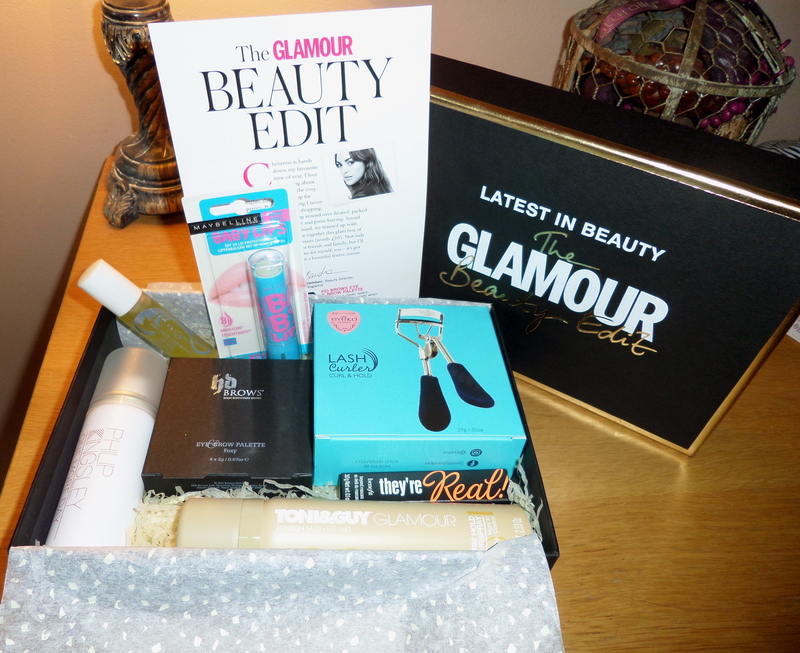 We all received it quiet late this month, but it really was a surprise this month as i didn’t receive my Dispatch email nor the tracking details, so i didn’t know it was out for delivery for me, good thing i was in though, so that was a bit naughty of Glossybox not to let us know. This months colour is a lovely Berry Red. Very Festive, and our Glossybox notelet Sheet (which has the product guide plus prices of what we got) was so christmasy it had a cute boarder with Snowflakes and Reindeers. 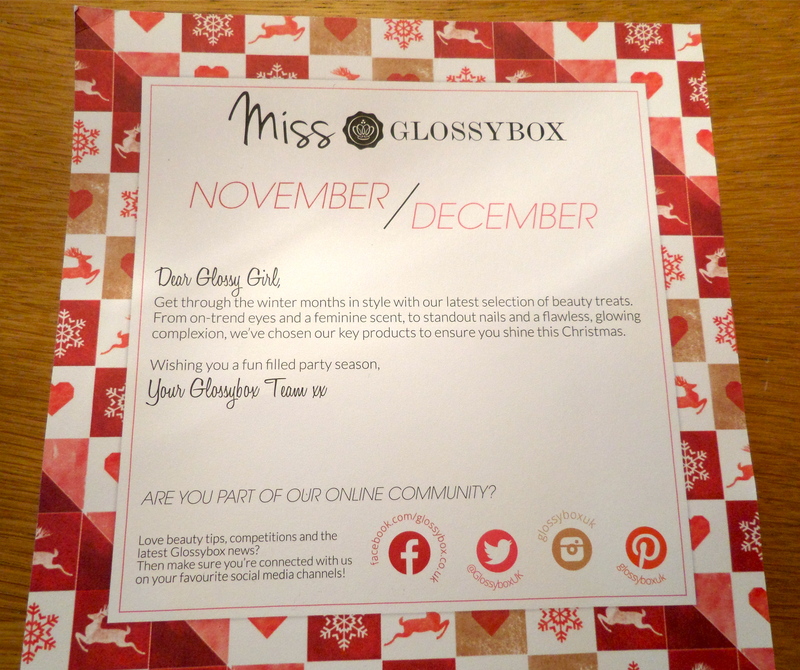 This Box ”Miss Glossybox” is aimed at younger audiences, But ive had 3 boxes so far and they have all been good enough for me, who is 25 year old woman =) . Whats not to love Makeup, Perfume, Nail polishes and so forth…. Its ticked all my boxes so no matter what the age is these boxes have been very good and so worth the money. £7.00+ P&P £2.95 Every 2 Months. (Bi monthly Subscription) I wish these boxes were every month! This was a lovely box to receive and that last box from the Year 2013. 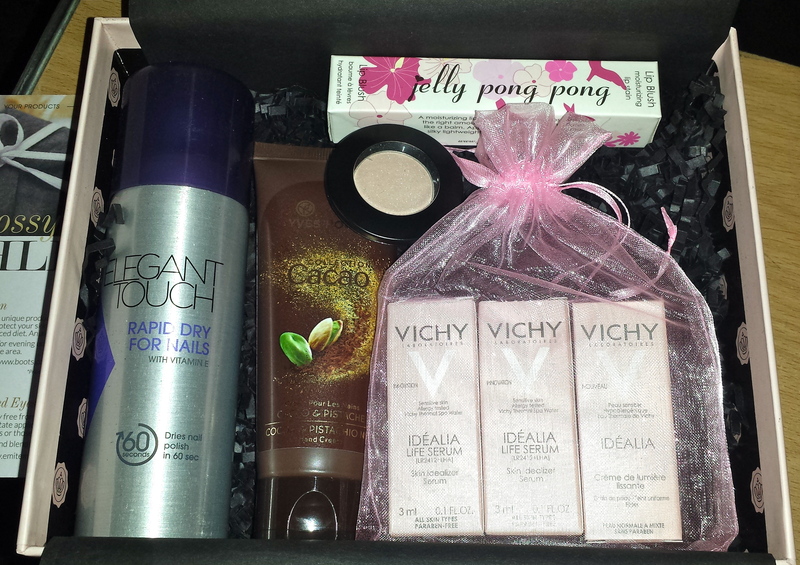 Today i finally received my Birchbox on 16th November 2013 Late this afternoon. Many other people had received their the next day but mine seemed to take a bit longer. Recived 7 little sample items this month. I love the fact we got 7, but i seem to have ben given a product which ive already received 4 months back, so not very happy about that but other than that it was a alright box. (Lifestyle extra) 3 x Pukka Herbs Tea. Overall its an alright box. The main 2 things im interested in is the Chella Pencil and Laura Mercier Mascara. 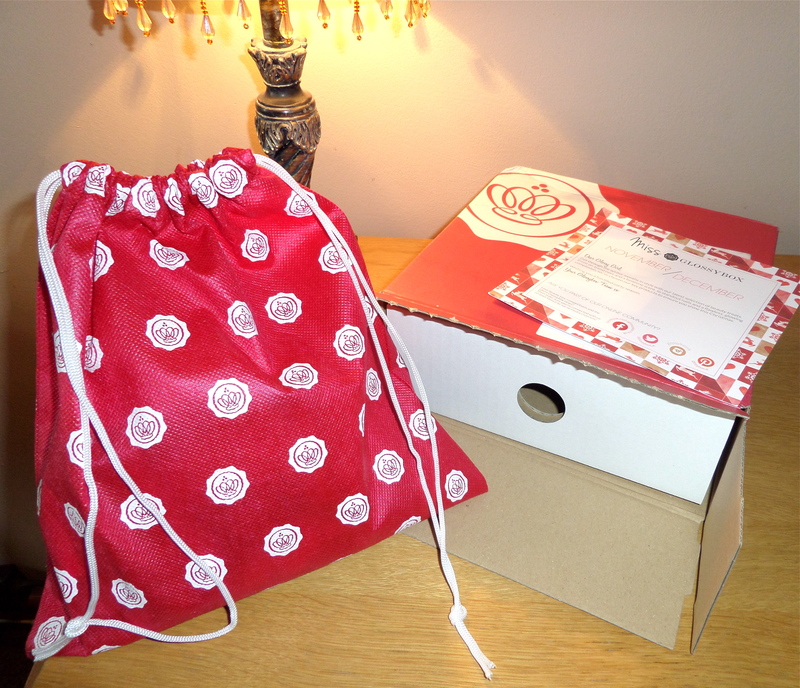 Birchbox is a monthly Subscription for £10.00 + P&P £2.95 a month. 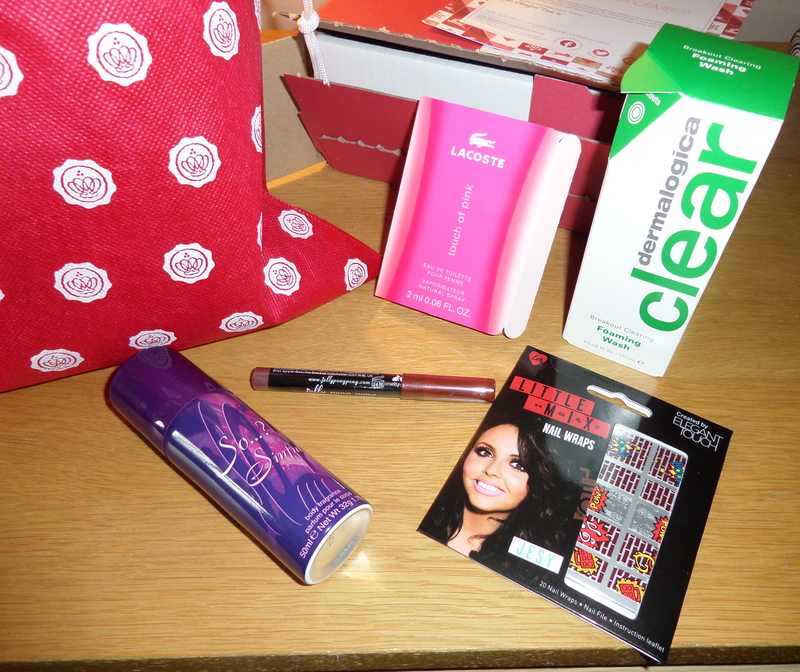 Finally received my Glossybox this morning on 14th november 2013. It was a bit late this month, but so worth the wait. All to do with… wishing, wanting and cultivating our christmas list. This months box of mine is a winner, and cant wait to start using all the products that i received. I truly love this months GLOSSYBOX Magazine also, love the front cover its got a truly festive spirit feeling and i cannot wait for december to arrive. 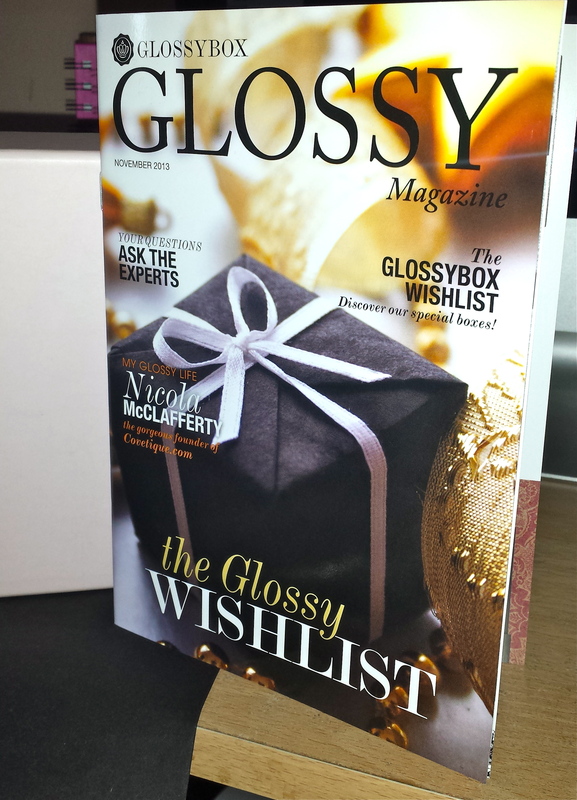 Its filled with beauty and wishlist ideas, and a sneak peak to what DECEMBER LIMITED EDITION XMAS BOX (Eeeek! Excited!!) Available from 20th November 2013 £25 +p&p for existing GB customers and £30 +p&p for non subscribers. In this Months box i received 4 out of 5 Full Size products. which total £33.75 plus £7.00 for the 5th item which is a sample. Pretty good for a £10.00 monthly box worth every penny!! * VICHY IDEALIA LIFE SERUM. 3 x 3ml Samples in a pink net drawstring bag. Valued at £7.00 for all three. Full Size is £29.50 for 30ml. Overall a really good box, only downfall was the delivery time frame from the 8th friday November (DISPATCH DAY) To Today 14th November it got delivered. I normally get my box the next day. 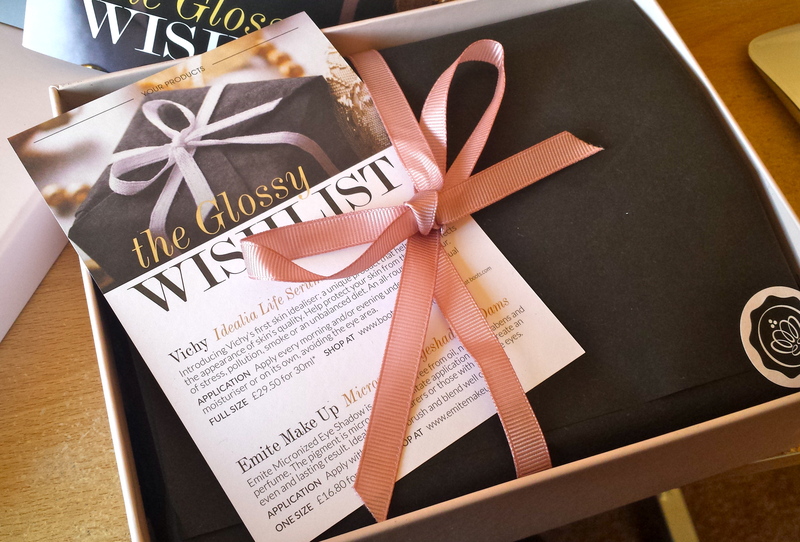 Glossybox is a MONTHLY SUBSCRIPTION for £10.00 + £2.95 delivery a month.